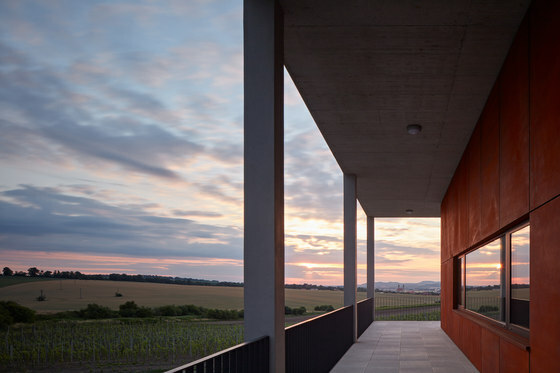 The Obelisk Winery was built on the green horizon in southern Czech Republic, with a unique view of Valtice and Pálava Hills where a former border guard platoon was once stationed. 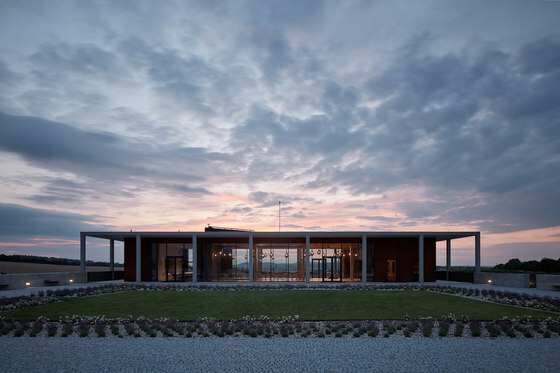 National borders once in need of protection are now the site of a beautiful winery and lush vineyards, carefully landscaped and maintained. 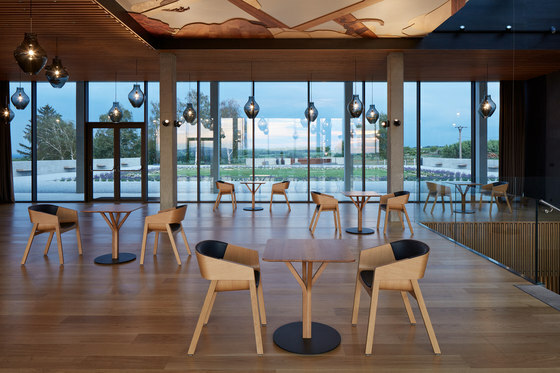 The design of the winery draws on the traditions and sources of inspiration similar to the ones of the Romantic buildings of the Lednice–Valtice Cultural Landscape. 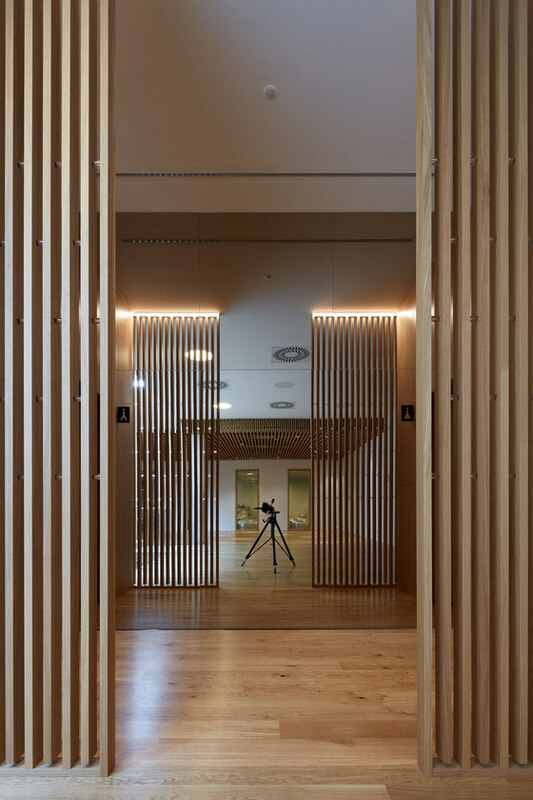 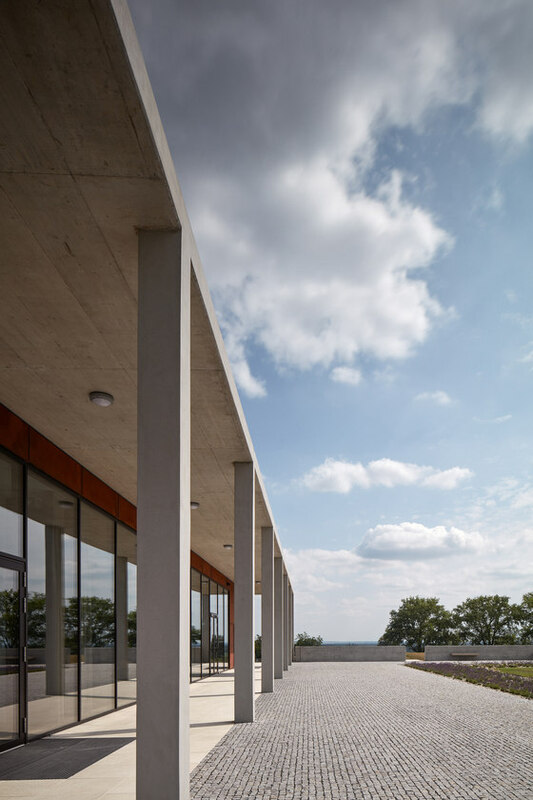 In our case, it was inspired by the image of a classical temple, which was then transformed into an abstract form of a slab supported by three rows of columns – a pavilion standing on a solid plinth. 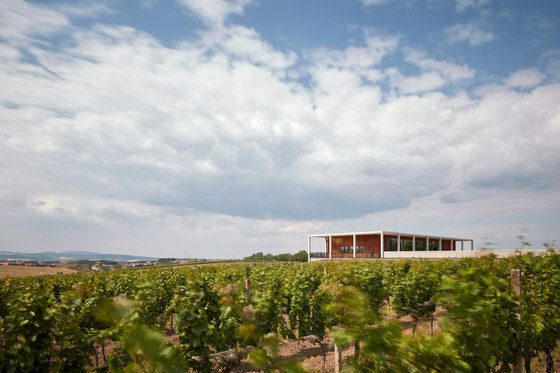 This pavilion gently complements the green horizon and vineyards. 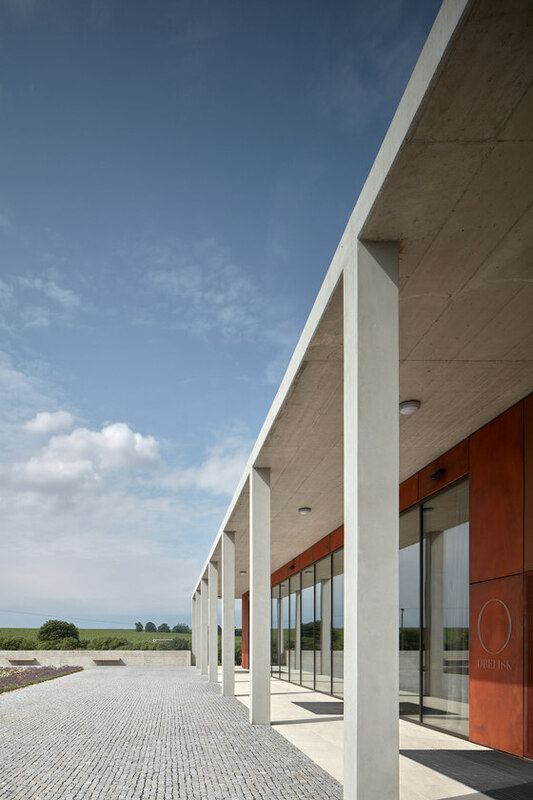 The building is divided into two areas– the underground wine production facilities and the above-ground premises which include a wine shop, a hall and a wine tasting room. 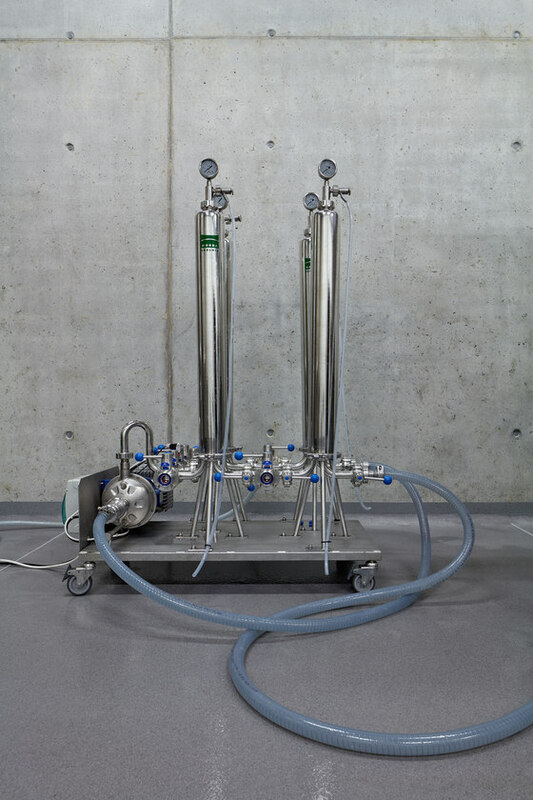 The winery makes their wine using the gravity-flow method which allows wine to stream naturally and eliminates the need for pumps and other machinery. 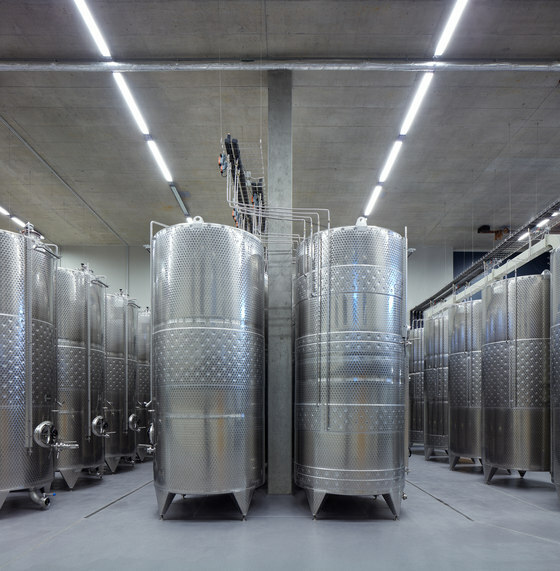 This is the reason the facilities are placed on two underground levels dominated by a tank hall surrounded by storage cellars. 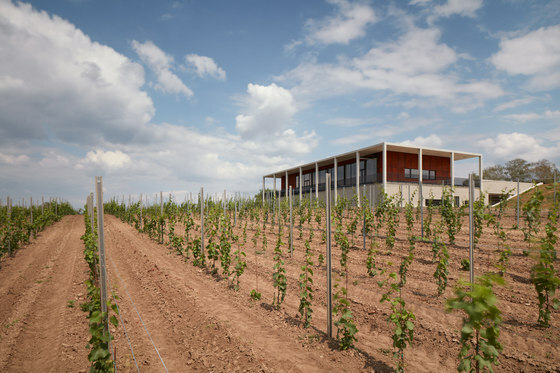 The wines produced here, first and foremost, reflect the terroir of the vineyards they come from. 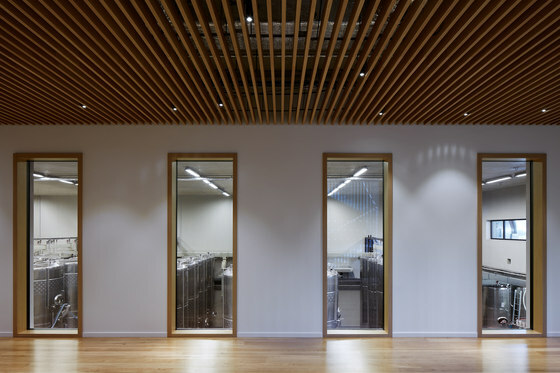 They are complex, mineral and distinctive and they mature in wooden casks which give the wines a rich and complex character. 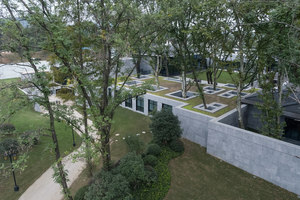 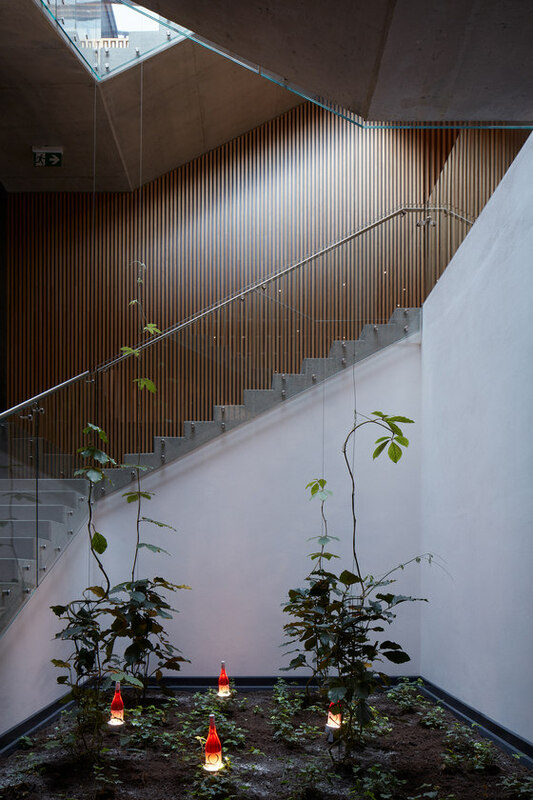 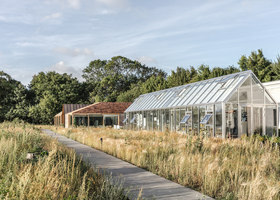 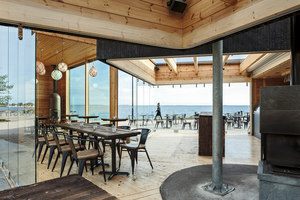 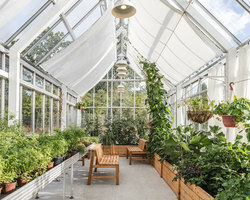 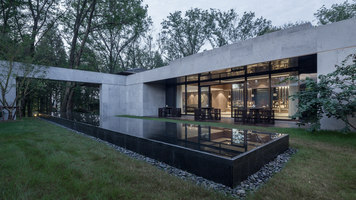 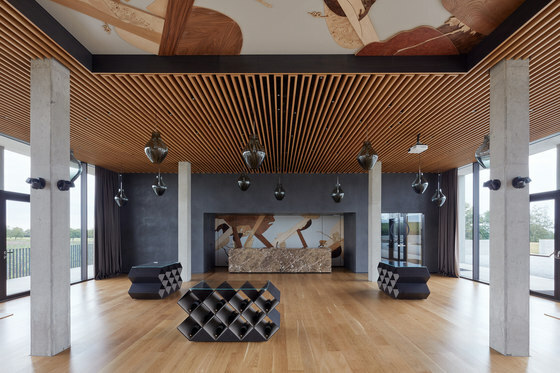 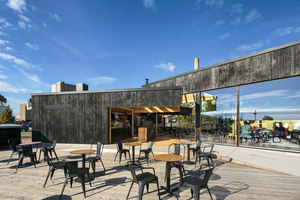 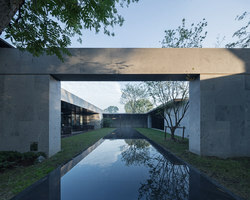 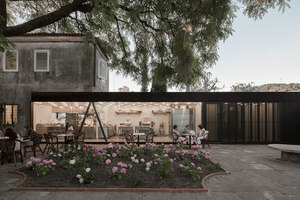 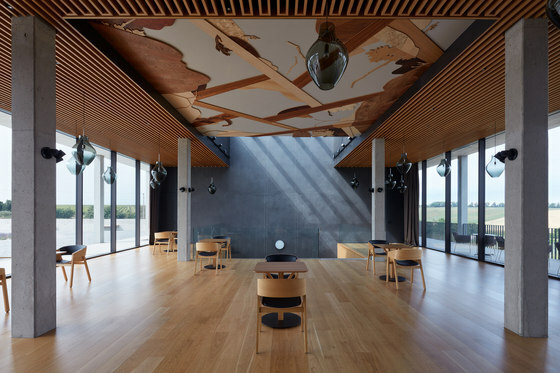 The visitors’ area of the winery with the wine tasting room and a lounge aims to be an architectural expression of the winery’s philosophy and ideals. 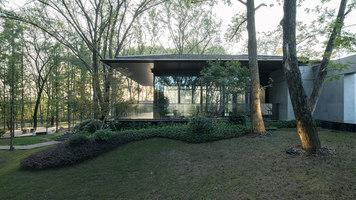 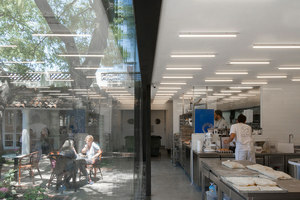 We see it as a pavilion– a space of a specific character and atmosphere. 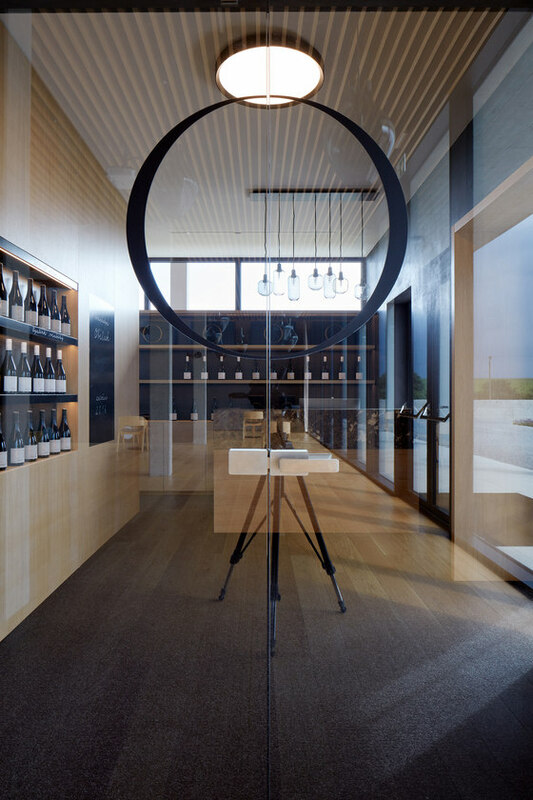 Whilst the walls of the Obelisk Winery do not hold any hunting trophies like the walls of the nearby Valtice Castle, they do contain other treasures, those of the Obelisk’s winemaking craft. 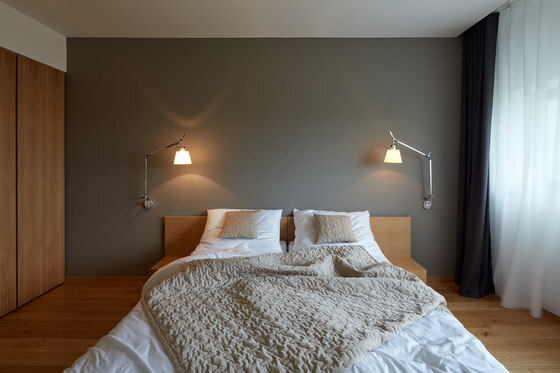 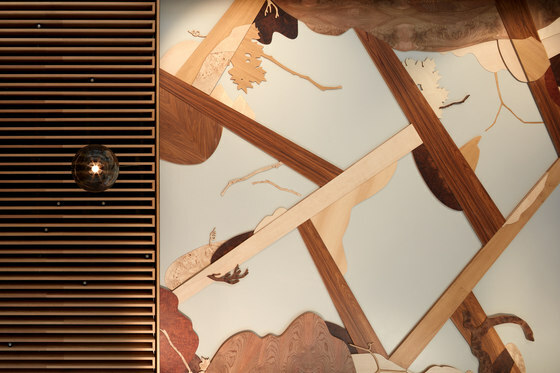 The contemporary work by a recognised artist made into a wall and ceiling intarsia was inspired by Baroque and Renaissance castle ceilings in Europe. 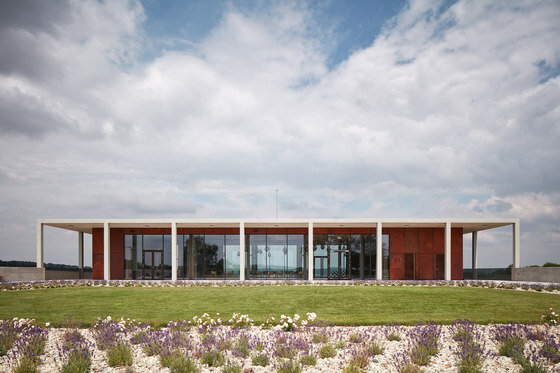 The intarsia reflects the influences of the surrounding vineyards and of Obelisk - the owner’s game preserve. 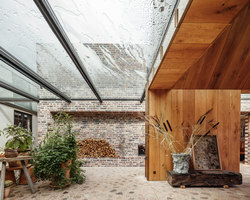 The corten steel pavilion, with large-scale glazing, is enclosed by an archway. 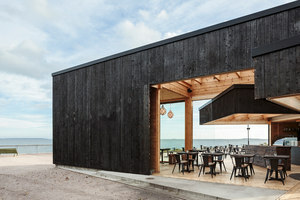 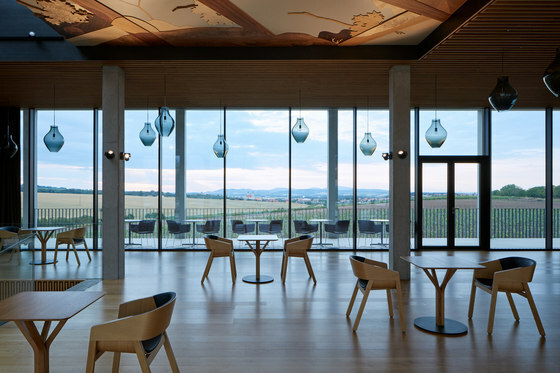 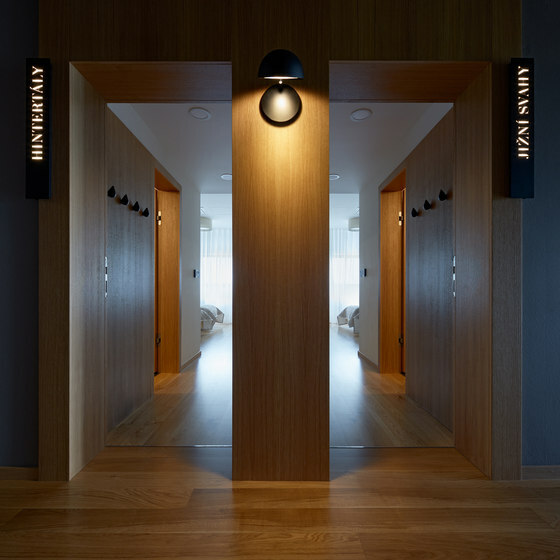 The winery is both visually and conceptually associated with Valtice, the Reistna Colonnade, and the panoramic view of the Pálava Hills and the town of Mikulov. 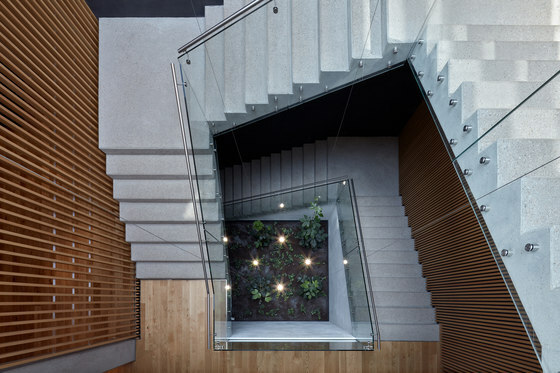 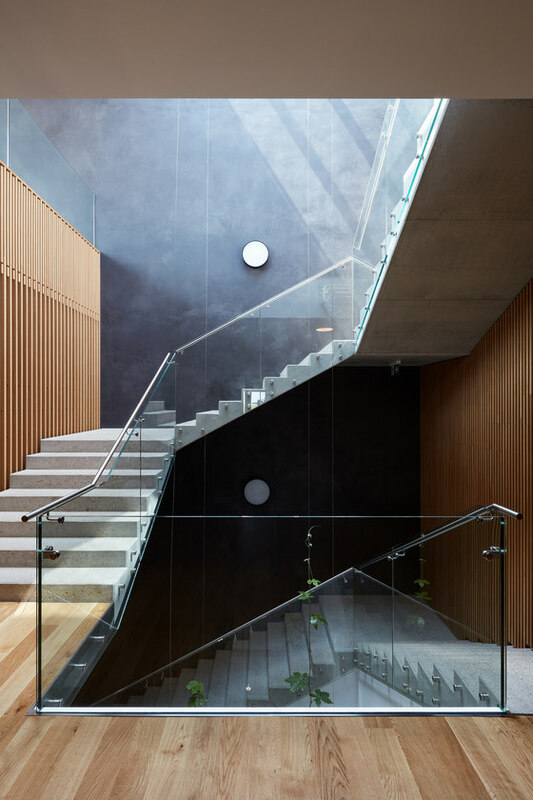 The natural materials of stone, concrete and oakwood are combined with glass, steel, and corten steel. 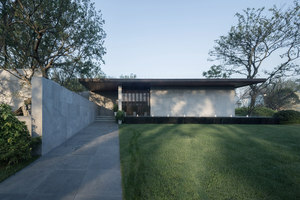 These traditional materials were chosen both for technical reasons, and for their other exceptional properties - they age naturally in appearance and gradually blend in with the landscape. 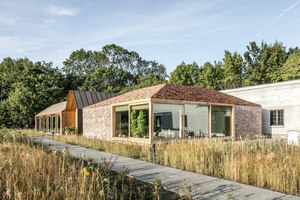 The winery is surrounded by an extensive cultural landscape formed between the 17th and the 20th centuries, on the estate of the Lichtenstein family, the unique character of which we wanted to preserve and promote. 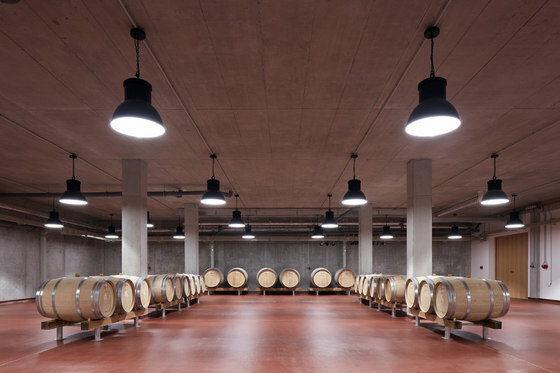 This is also the reason most of the winery is hidden underground. 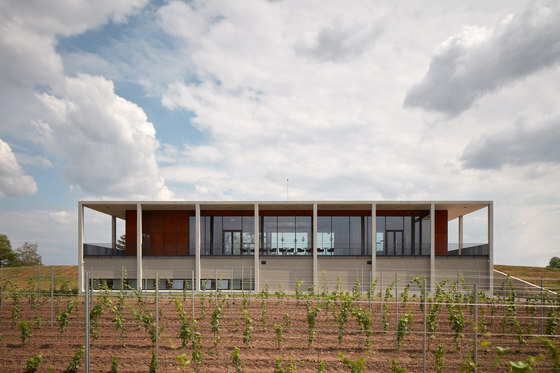 The part of the winery that is above-ground is slightly protruding over the vineyards when observed from the direction of Valtice. 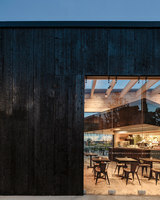 The trees on the winery grounds were mostly preserved and the access road will be flanked with newly planted vineyards. 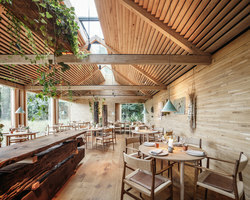 A green courtyard was formed in front of the entrance – a piazzetta fitted with seating and awaiting its own work of art. 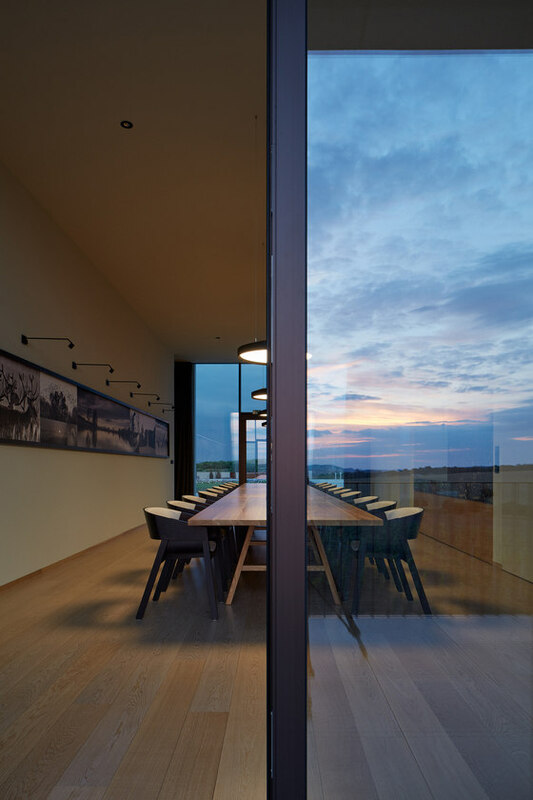 The chief principle we observed when designing the winery was respect for the entire Lednice–Valtice Cultural Landscape, the vineyards, the work of those who are no longer among us but whose craft and skills we admire to this day. 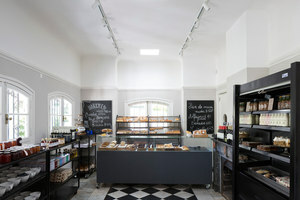 We aim to preserve and develop this quality and tradition.